Constant companion. Asus churns out countless Eee PC models, but the 1001P stands out from the crowd. Its matt display, matt surfaces and low price of €249 are enough to make the competition weep. The netbook uses the latest Pine Trail platform, and just runs and runs. With such low energy consumption and low temperature gain, it shows us what the new Intel chipset is capable of. Read on to discover if this really is the last word in netbooks. Overall, if you're considering purchasing a netbook, I would put the Asus Eee PC 1001P on your short list. It looks good, is built well, has a very nice screen, and gets excellent battery life. 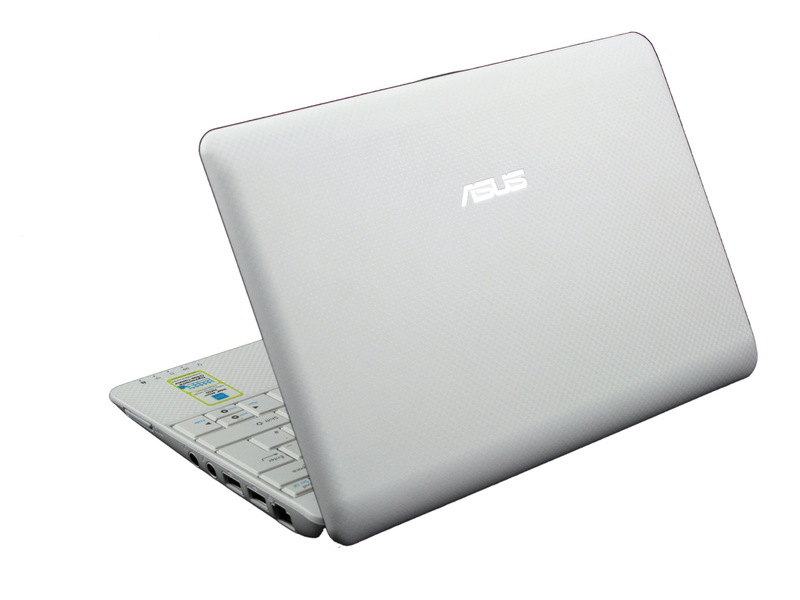 The Asus EEE PC 1001P is a new entry level budget netbook by Asus. Asus has been the frontrunner of the netbook revolution and has launched a lot of new netbooks since the success of the original Asus EEE PC 701, the first netbook. In the following years, netbooks have evolved not only in terms of design and size, but also in terms of capabilities. It is one of the best netbook offerings in this price range. I would definitely recommend it. Asus and its Eee PC have always been at the forefront of Netbook development. After all, the company practically invented the market, and virtually owned it for some time, as Dell, HP, and others dithered over whether to get into Netbooks at all. This entry-level version of the popular Eee PC Netbook, the 1001P, is just as good as slightly more expensive versions, making it a solid default choice. There are good reasons the Asus Eee PC 1001P is cheaper than the Eee PC 1005PE. The battery life isn’t as good and it doesn’t have 802.11n WiFi. But honestly. That’s about it. If those features don’t matter to you, the Eee PC 1001P is a very good netbook for the money. And if you prefer matte displays over glossy, then the decision between these two models is almost a no brainer. The ASUS Eee PC 1001P SeaShell at its heart is a low-cost version of the 1005PE. Priced $80 less, the 1001P loses the island keyboard, higher capacity battery, 250GB hard drive, N-wireless, and Bluetooth. The 1001P reached an impressive eight hours of battery life, but let's remember that is four hours less than the 1005PE. With the 1005PE selling for as little as $365 through some online retailers, increasing your budget would result in a more capable road-warrior netbook. The Asus Eee 1001P is an interesting product in that it seems to undermine the bread and butter of the Eee lineup—the 1005PE. The 1001P uses the same 1005 chassis, has identical hardware specs, a matte textured case that doesn't pick up fingerprints, and a better non-reflective display, all while costing significantly less. The only thing the 1001P gives up is a few hours of battery life. So what's the point of the 1005P? A slick design, roomy keyboard, and long battery life make this netbook an excellent value. In some respects, we like the $329 ASUS Eee PC 1001P better than the longer-lasting 1005PE-P, which costs $50 more. Not only does the 1001P pleasingly avoid fingerprints, but the keyboard feels larger, too. The $399 Toshiba mini NB305 may still be our favorite netbook overall, but if you can live with a smaller hard drive and 802.11b/g Wi-Fi, you're getting a great bargain. As you can see from the pros and cons above, the 1001P is a mix-up of good and not so good parts. It’s solid built, offering all the basic stuff. Thus, it would be perfect for a kid, an older person or if you need a portable device for harsher conditions. The matte textured body also helps, as provides better grip and is less prone to damage over time. Thus, the Asus 1001P offers decent performances, reliability and autonomy, all for a very good price: only $299.